diskmach had the most liked content! GLOBAL - General Settings - RocketLauncher - Base Settings - Emulator Idle Shutdown. В миллисекундах. 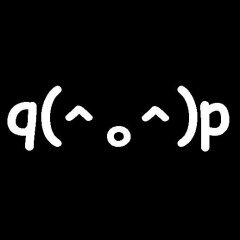 I just learnt that the developer of Padstarr, Robert J. Kulanko, has passed away at the age of 36. Rest in peace, Rob. We don't know what this will mean for Padstarr's future, as Rob was the sole developer. It's fully functional but could do with some bugfixes. Afaik, Rob's family might try to sell the code. We'll just have to wait and see. If you buy a license now, you'll just get the admin key from one of the admins, as there is nobody that manages the standard licenses right now. Problem with MESS chez moi was scrambled video I believe. Although this was way back when.. It is a riddle, wrapped in a mystery, inside an enigma. You will never find it out...🤣 Couldn't get MESS to work properly with this. I meant right as in "correct", didn't remember which one it was. 😀 Glad it helped. Iirc, you have to press the right key to get the game started. Before you do that, the screen is just black. Hope this helps, I'm on the phone, so can't check. Hey! I really liked reading about your success with PadStarr and iPac. I have an ultimate and am having a hell of a time setting up PadStarr with my Ultimate and getting it to work. That, and I don't know which would be the best keyboard keys to program my ipac on to. Would you be interested in sharing your padstarr config files and any spreadsheets or planning documents that you used to get to your setup? Thanks! 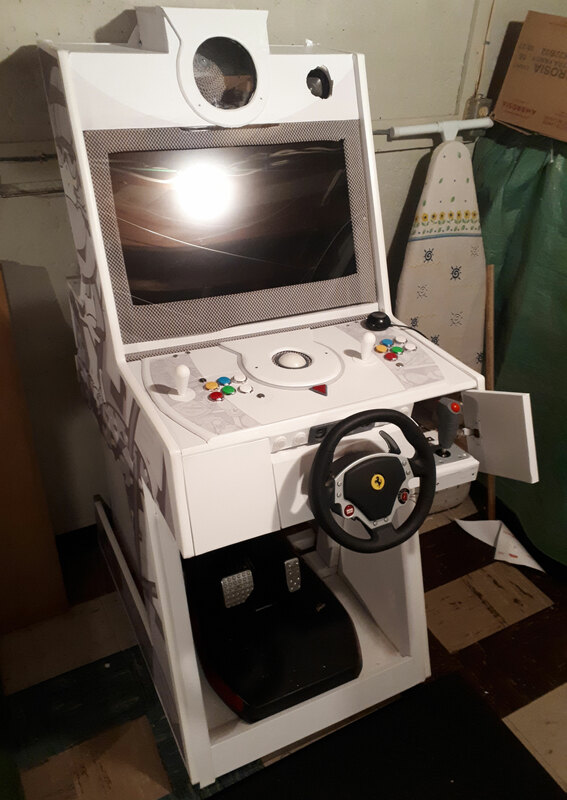 I just finished my Dreamcast themed arcade too, if you want to have a look. Hi, nice cab, you really covered all possible controller needs. As for Padstarr, I'm still using it, and am pretty happy with it. It might be slightly hampered by the fact that the developer disappeared and development stopped, but it's pretty much the complete package already. As long as you remember to add exclusions to all programs that have the controller configured within the program or emulator, and when adding paths to programs that you set up a profile for, add the path both to the folder AND the exe, as there is a buggy error message about corrupted files that might pop up otherwise. That being said, you might have misunderstood one thing, I never used Padstarr for anything else than the XBOX 360 controller. So any profiles and/ or config files would be pretty specific to me. Although i did post some of those profiles in the thread I believe. I still might be able to help you out if you have some more specific questions? I'll have a look at the thread again to see what I missed. As for your set-up, I'm hoping to do something similar by mapping everything to the Xbox pad as well, as it's more likely to be compatible with the widest number of emulators, and the buttons, axes and joysticks double for most of what I have set-up on my cab. Specifically, I'm wondering a few things about yours. 1. Padstarr recognizes my IPAC Ultimate as two separate controllers (IPAC 1&2). Did you have that happen? 2. I'll build a profile intended to be recognized as a 360 Xinput controller, but most emulators insist on recognizing the keyboard inputs instead of the padstarr profile, despite the profile being activated, even when running as admin. Did you ever have this happen? Thanks again for your post -- once I get this all running, I'm hoping to make a video about my crazy control set-up that describes how it all works. I have a feeling that your suggestion will get me there. 1 & 2, didn't have/try that, so not sure. Some people are saying that they never had the problem in Windows 10 that I described above, yet many have reported it as well. I haven't checked this again as Padstarr is working for me. Did you mean to say that you have the same problem I described somewhere here? Добрый день. Вы используете Rocketlauncher? Setting "Roms Only" when roms are in subfolders? Sounds like a smart solution. Thanks for the post.